In competitive card games a large amount of effort and energy is expended in understanding and reading the current “meta”: what cards and archetypes are popular and powerful at the moment and need to be respected in deck building. This meta evolves (in broad strokes), based upon new cards being released, and players winning competitions and publishing the deck lists of how they did it. Those winning decks are sure going to become popular… Players are faced with a question: do you go with those popular, winning cards or do you build your deck to cancel them out? The name gives it away. If you see this card in your opponents deck you know what their game plan is. Putting this into the LotR context: if an encounter deck was all treacheries we’d be playing decks with as many copies of A Test of Will and Dwarven Tomb as we possibly could. 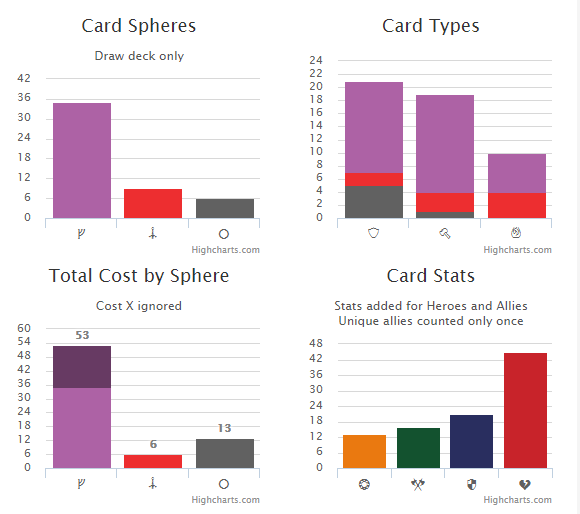 In summary: knowledge of the overall meta, then inferring from the cards seen and what that might mean, leads to a successful deckbuilding and winning more games. But each adventure pack does stress some aspect of the player’s deck in some way. Perhaps it packs a trio of hard hitting enemies at a specific engagement cost. Or is heavy on shadow cards making combat unpredictable. Usually its a combination of many factors. But in the same way that each player deck can’t cover all the bases, each encounter deck can only attack so many aspects of a player’s deck choices in a meaningful way. 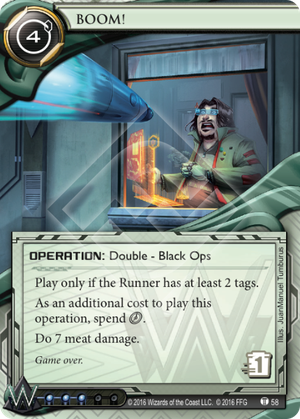 And in the same way that players in competitive games want to read the meta to make informed choices, we can in our co-operative game read the “meta” to decide what might be relevant in deck building. Reading the meta in LotR means having some knowledge of the encounter deck and what tricks its trying to pull. That can be from reading articles or reviews, scanning the cards ahead of time or (my preference) playing the game and seeing what comes out to hit you. Sometimes we play the game and we simply take “bad decisions” because we’re playing slightly blind. I quite like that; its a learning experience and there’s some joy in uncovering the puzzle. I don’t like being eliminated after an hour of playing because I “forgot” that there was a nasty treachery with hero-killing consequences lurking in the last five cards. To help players with these decisions were introducing a new series of articles where we’ll be breaking down the encounter decks in more detail to help inform players in their deckbuilding and playing decisions. This breakdown will be a combination of statistical analysis and some insight from our own experiences of playing the game. The combination of randomness of each play through and the sheer variety of player decks mean that the articles are useful information to help the player, not a crib sheet of what decision to make next. What we want to do is help inform decisions, rather than make them on your behalf. The emphasis here is to be able to game the numbers by having a more accurate view of what might be lurking in the encounter deck. For instance, if you know that the encounter deck has 12 cards with shadow effects and there are 11 in the discard pile and 10 encounter cards remaining you know you’ve a 1 in 10 chance of pulling a shadow effect. Maybe you could take that attack undefended? Sure there’s still some risk still there, but its more quantifiable than it was before. All of this is public information and legally available to the players. But I see it being used a lot less commonly (i.e. not at all) in co-operative games when compared to competitive games. I might look through the opponents discard pile two or three times in a game of Netrunner to work out what they have remaining in their deck, but I’ve never really asked that question in Lord of the Rings. And I think that as we stumble and fumble through some quests having that information does not hurt. This doesn’t really talk to the whole story at all though. We’re aware that these numbers don’t really say which treacheries are deserving of a cancel (too table and situation dependent), for instance, or how bad those shadow effects might be (too table and situation dependent). To help support those at the table decisions we’ll provide some brief notes on what kinds of deck the encounter deck works against. For instance, if there are a lot of “discard attachments” affects, then we’ll observe that. Or we may suggest bringing some condition cancel if relevant. You may decide you’re gonna take the chance because you want to use deck slots for something else, or plan to solve the problem in an innovative way. That’s the joy of the game: finding solutions to the problems posed by the encounter deck. But to best plan those problems, suffer less frustration at a losing streak and improve the playability of a deck for a scenario, more information can’t be a bad thing can it…? …Let me stress again that this information helps decisions. It doesn’t trivialise them or account for so many other factors of the moment. It ignores swathes of the game that do impact the game board (passive effects from quests, travel costs, when revealed on enemies etc). That’s just too much work and simply robs the fun from the game! We’re going to be starting with the Wilds of Rhovanion quests, and each post will link back to this introduction setting the context in case you need a reminder.